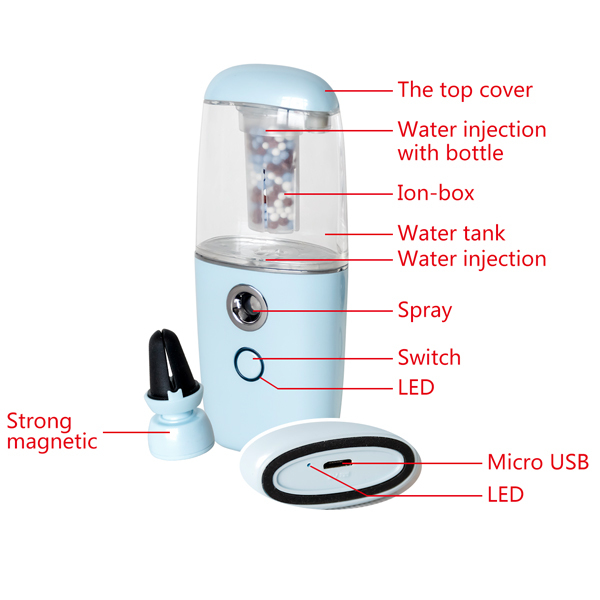 2.Air cleanling function: Negative Ion Sprayer will clean your air by the negative ions.Will be very helpful to your body and your family. 3.Mini universal design: you can put it in your bag, desktop, bedrrom,car ..so many places. 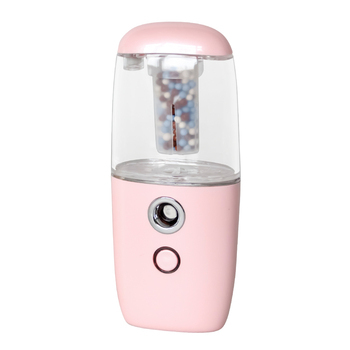 4.Ultra Strong Magnet & wall sticker: You can clip car air humidifier on air outlet of car or fans in home with 360 degree free rotatable magnet; Or stick on Wall. 2.Hand squeeze upward pull off the lid, equipped with water tank top in mineral water or tap water. Long press 2 seconds to turn on/off;The first gear will show yellow light to spray 40 seconds rest for 5 seconds,2 hours later will automatically cut off the power; the second gear will show white light to spray 1.5 seconds rest for 10 seconds, 8 hours later will automatically Power off. 4.products can not be soaked in water, forbidden children under 5 years of age to use alone. Air Humidifier & Negative ions sprayer & Air Refresher & Ultrasonic Essential Oil Diffuser; 3 in 1 perfect for Travel, Car, Home; Convenient to carry. *very helpful to your body and your family.